The forecast is calling for a foot of snow. Quite a rollercoaster of weather we’ve been having. 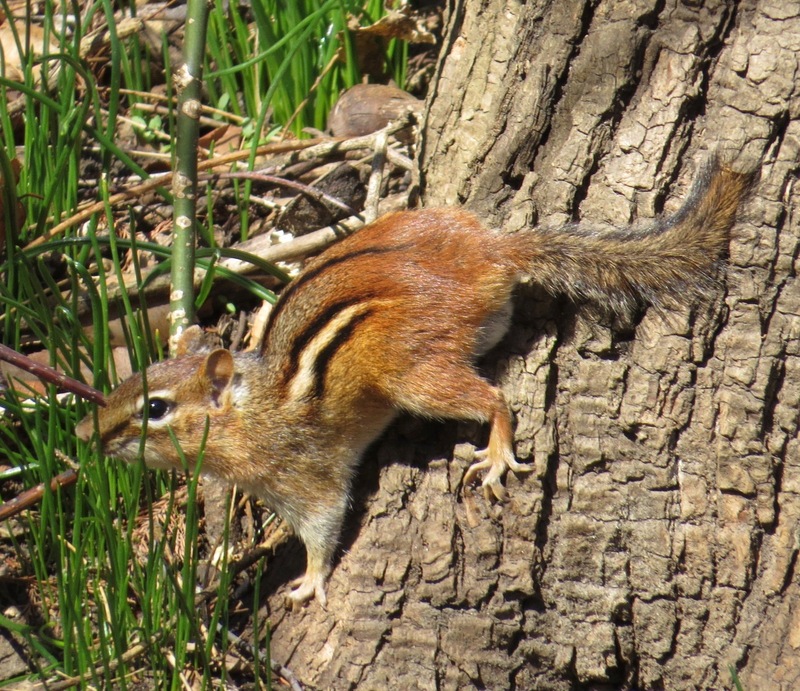 Last week, it was up 60 degrees F. The Chipmunks (Tamias striatus) were busy in the sunshine. Don’t let the cuteness fool you: these are pretty effective predators as well as gatherers. They will definitely raid bird nests, for instance. With the past weekend’s deep drop in temperature, they have probably retreated to their caves to wait this new storm out. So glad to see this chipmunk. Where I live there are plenty of squirrels but few of these cute guys.